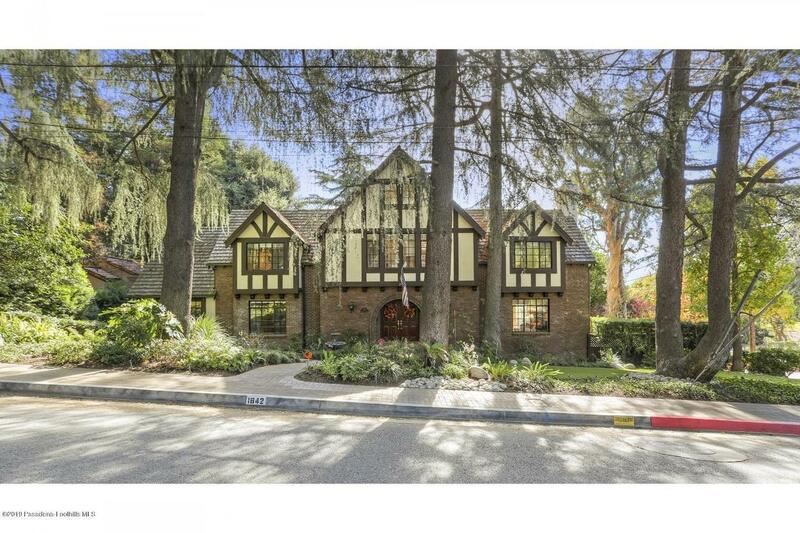 Come home to this wonderful traditional 5 bedroom, 6 bath home conveniently located in the beautiful Deodar area of La Canada Flintridge. This home has the elegance of traditional living with its formal step down living room, formal dining room and also fits into today's busy lifestyles with a beautifully remodeled open kitchen which overlooks the picturesque yard and beyond. The Master Suite with its own balcony has two separate bathrooms and an office/gym attached. If entertaining is your style, you will love the indoor/outdoor flow. The back yard has many levels of enjoyment, whether you are wanting to relax and enjoy refreshments in the upper patio, dine al-fresco, enjoy the pool/spa or shoot some hoops, this property can accommodate.